It’s a great time to be a marketer. Never before have we had access to so much customer and behavioral data. We know which campaigns turn prospects into paying customers. We know the content customers prefer, their buying patterns, and the reasons they stop doing business with us. But just when we thought we had it all, customers are changing even faster than ever, and the way we market to them must adapt. So, that’s what we’re doing – and we’re making tools to do just that. In a strategic move, Kissmetrics has released a new product called Engage, which fills a huge market need. It gives marketers a powerful new tool to improve their performance. (More on that in a bit). Also, as you may have noticed, we’ve updated our brand, logo, and website. Our new look is more in line with our market and our company. It’s modern, strong, helpful, committed, smart, confident, and trustworthy. Also, our website is more informative, clear, and concise about the products we provide and the value they bring to the market. Buyers are in control and have amazing power at their fingertips. They can shop, compare, review, search, and ultimately purchase at any time, from anywhere. Their expectations are high and their attention spans are short. They expect to find answers, information, and guidance quickly and easily. They are going through the buying process on their own, according to their own terms, and in their own time frames. It’s their journey, and if you’re not on hand to guide them at key moments, you are likely to lose. You may have heard, and even said, all this before. But now, it’s a business requirement to live it. As a result of all these changes, marketing has to go way beyond the top of the funnel to fuel growth. Marketers have to generate interest and be there all the way through the customer lifecycle, providing the information and guidance required to keep buyers on the path to the targeted conversion, be it a sign-up, download, registration, or purchase. This is easier said than done because every journey is different. So, we need a new approach to marketing. The static, pre-defined campaigns won’t cut it. We must provide continuous, dynamic, behavior-based messaging to a segment of 1 – the holy grail of marketing. Understand your buyer’s journey and customer lifecycle. Monitor digital interactions and activity. Deliver timely, relevant interactions based on behavior. Our flagship product, Kissmetrics Analyze, was built to help marketers understand interactions between people and their companies. It shows marketers how people respond to campaigns and pages and how they move through the buying cycle, from their very first visit, through purchase, and back again. The next step is to act upon that valuable insight. 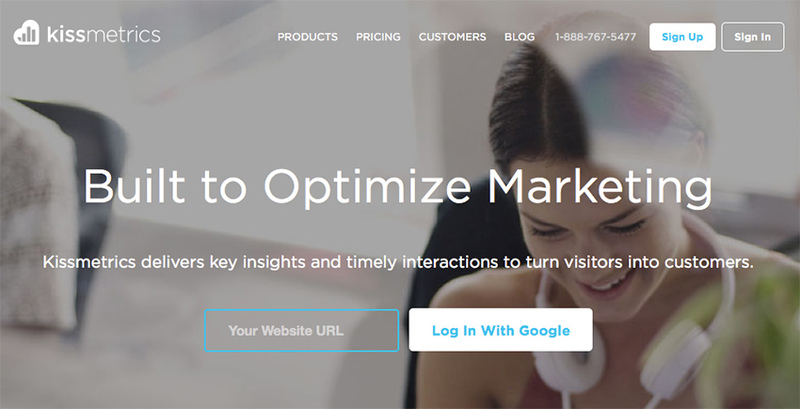 In order to do exactly that, Kissmetrics has released a new product – Engage. Engage lets marketers easily create interactions that are timely, relevant, and based on behavior. Marketers can go along on each and every buyer’s journey as they proceed at their own pace, choose their own process, and follow their own rules. The buyer is still in charge, but now you can respond based on their behavior at just the right moment, to a segment of 1. Analyze + Engage gives you the ability to measure and optimize interactions with your audience. So, to fully understand the buyer’s journey, monitor that journey. Then respond with timely, relevant messages to increase conversions. Now marketers can have amazing power at their fingertips, just as buyers do. The buyers are in control, but they’re ready and willing to be won over with timely guidance and information that makes your company shine. Here’s to marketing! It’s awesome. We invite you to start a free trial of Kissmetrics. You’ll get access to both Engage and Analyze. Our support team will be available during your trial to ensure your setup success. Get started by clicking the button below.